When your positions in the music canon are already secure and unassailable, what are two legacy artists to do when it comes to new albums? In the case of Bob Dylan and Eric Clapton, the answer is to reach back to their roots and go back to their beginnings. 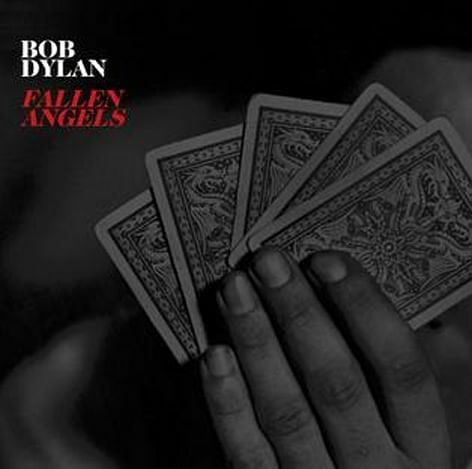 Fallen Angels is Dylan's 37th album and, like his previous release, last year's Shadows In The Night, he brings his distinctive take on traditional pop tunes mostly made famous by legendary crooner Frank Sinatra. 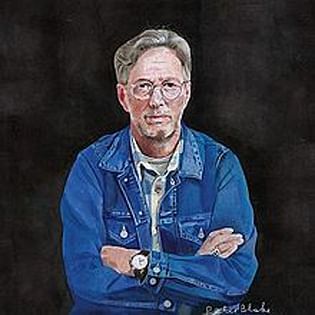 For Clapton's 23rd solo album, he gives prominence to reinterpretation of blues classics by the likes of Robert Johnson and Leroy Carr, alongside new and original tunes. Dylan gives a weathered take on Tin Pan Alley tunes - the pre-rock 'n' roll songs written by New York songwriting houses that dominated the popular American music landscape in the first half of the 20th century. Purists might do a double take. The 75-year-old famously sneered at such songs in his 1963 classic, Bob Dylan's Blues, proclaiming them to be lofty songs "written up there", as opposed to the realness of tunes "written down somewhere in the United States". However, it is clear now that Dylan has affection for these songs and he treats them with tender loving care. The instrumentations are dialled down and languid, bringing his singing to the fore. While his voice is scraggly and raw, certainly a Dylan trademark these days, his version of classics such as Great American Songbook and standards such as Polka Dots And Moonbeams, Skylark and even On A Little Street In Singapore are wistful and distinctive. Clapton, 71, on the other hand, has a sprightly take on the previously pensive Alabama Woman Blues by early 20th-century blues icon Leroy Carr. While his guitar slides are stirring and the tones thick and fluid on the song, Clapton's fretwork is surprisingly understated on the rest of the album. Bringing back Glyn Johns, who last worked with Clapton on 1978's Backless and the 1977 classic, Slowhand, is a winning move. The producer brings a comfortingly earthy and warm tone to the overall production and Clapton's voice is given space to soar, especially on the slow-burn blues of Delta blues icon Skip James' Cypress Grove. Can't Let You Do It, originally by Americana luminary J.J. Cale, thrives on a formidable groove, while I Will Be There is a moody yet captivating acoustic-pop ditty. The latter features co-singing with the mysterious Angelo Mysterioso, who some say is late Beatle George Harrison's son Dhani, while others claim is contemporary singer- songwriter Ed Sheeran. Clapton also covers Dylan, bringing an ardent touch to the latter's I Dreamed I Saw St Augustine. It is Catch The Blues, though, the only song where Clapton gets sole songwriting credit, which encapsulates the overall mood of the album. The lyrics pay a reverential nod to his love of the blues and he also imbues it with the finesse and poise of a seasoned troubadour.